Want to train to become a diving instructor? Would you like to work in some of the most exotic places in the world? Here at 2DiVE4 we offer PADI approved diving instructor courses that will enable you to do exactly that. If you are looking to change your lifestyle and want to help others in the process we are the right people to help you. With many years of experience and a team of dedicated instructors we are able to get you on the ladder to success. Having helped many people over the years gain their qualifications we know exactly what you need. Our courses are designed to help you become an instructor in the shortest times possible so that you can get on with earning some money whilst exploring the world. What better job to have than travelling the world meeting people in some of the most beautiful places in the world. If you would like to become a qualified diving instructor please talk to us about our qualified instructor courses NOW on 01279 815559. 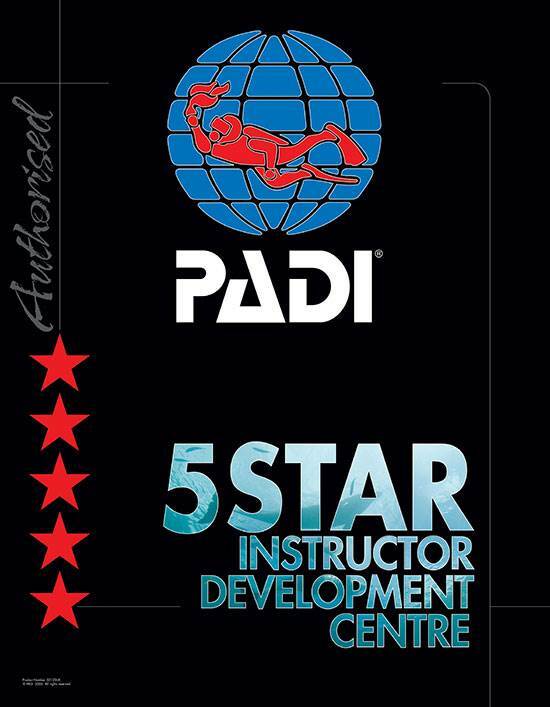 Once you have signed up for your PADI Instructor Development Course (PADI IDC) with us, you have expert knowledge literally at your fingertips. You will be encouraged to take part in our “Distance Learning” where you’ll revise your knowledge of Dive Theory (physics, physiology, RDP, equipment, skills and the environment and PADI Standards).You’ll be invited to email exam answers to us and then get personal feedback from our Platinum Course Director Steve Prior. Your PADI IDC preparation will be right on track for a successful and relaxed PADI IDC. Our PADI Instructor Development Courses (PADI IDCs) are fun and successful because we teach people and not courses. We care about people and our experience has shown us that every person learns in a slightly different way and because of this, each and every one of our PADI IDC candidates gets individual attention and personalised counselling. You will be using unique “Prior Knowledge” accelerated learning techniques that we have developed throughout our extensive teaching experiences to ensure your PADI Instructor Development Course (PADI IDC) is fun, relaxing and successful. Our PADI Instructor Development Course (PADI IDC) schedule is planned so that you can incorporate Specialty Instructor Training into your development. This training will increase your confidence for the PADI Instructor’s Exam (PADI IE) and extend your teaching range when you qualify. Teaching is much more relaxing and fun as a newly qualified instructor when the first courses you undertake are Specialty Courses. Why? Less logistics, shorter duration and you are teaching divers who can already dive! PADI application and exam fees are extra to the above prices For further information please email info@2dive4.co.uk.